For many people working indoors, mobile connectivity within the workplace is essential for everyday tasks. Smartphones and tablets have become a key tool for employee productivity and communication, allowing workers to make phone calls, check emails, send messages and video chat. The problem is, for many people working indoors – such as in office buildings, hospitals, retail establishments and hotels – mobile connectivity within the workplace is essential for everyday tasks such as client communication, internal applications and more. As such, when poor connectivity becomes a common occurrence in the workplace, it can significantly affect employee stress levels, productivity and, ultimately, a company's reputation. According to a mobile coverage workplace survey conducted by Zinwave of around 1,000 office workers in the UK, 69 per cent of employees complained that they either ‘frequently’ or ‘sometimes’ had problems with poor mobile coverage in the workplace. What’s more, 24 per cent of workers indicated that their stress levels increased, while 14 per cent said their productivity decreased. Nearly a quarter - 24 per cent - were forced to make calls from outside the building. In addition, 15 per cent of office workers said poor mobile connectivity within the workplace made the company look bad. While the problem of unreliable mobile coverage in the workplace is widespread, not every employee is inclined to notice spotty coverage. The survey revealed that millennial office workers, such as those between the ages of 18 and 34, were 45 per cent more likely to complain of ‘frequent’ problems with mobile coverage in the workplace, than their counterparts aged between 24-54 and 55 plus. There are a couple of factors that likely contribute to that number, including the fact that many younger workers haven’t lived through a time when mobile coverage – even outdoors – wasn’t anywhere near 100 per cent reliable. Also, millennial workers are likely to spend more time online, not least because data access and the capabilities that come with it are woven into their everyday lives. As such, this makes them more reliant on access to mobile data and, therefore, more likely to notice when it’s not there. For millennials, spotty coverage had the biggest impact on their stress levels and productivity. Indeed, nearly 30 per cent of millennial employees said that connectivity issues increased their stress levels and 21 per cent said that their productivity decreased – the two highest figures out of all three generations surveyed. This means that one in three millennial employees said that when they can’t make a phone call or get mobile connectivity they notice an increase in their stress levels, and one in five say it makes them less productive. As coming generations enter the workplace, uninterrupted mobile signal is going to be the expectation, especially as we enter the realm of 5G. Failure to provide it could potentially put workers off an employer. Who is responsible for boosting connectivity – operators or enterprises? Until just a few years ago, mobile operators made the investment in small cell architecture, such as distributed antenna systems (DAS), that boosted indoor mobile signal for their customers in certain venues, like sports arenas, large office complexes and airports. However, with the proliferation of mobile devices, it’s all the mobile operators can do to keep up with the demand on their outdoor networks. Indeed, they don’t have the time or the money to invest in indoor signal amplification. That responsibility has now fallen to the building’s owner or manager or the enterprise, especially if the business owns its own facility. Since connectivity and boosted radio signals are only going to become more critical in the future, such as with the rollout of 5G, building owners and managers need to solve the mobile connectivity problem within the workplace. It is not just about being able to make phone calls, but allowing employees to work effectively and efficiently. Indeed, it is about allowing them to find the technologies they need to work productively, and making those technologies available and usable in the workplace. However, there is more to solving the indoor connectivity problem than just employee productivity. By boosting indoor mobile signals, businesses are positioning themselves well for the technologies that are on the horizon. For example, location services that will allow commercial centres to locate specific shoppers in their buildings and push appropriate advertising content to them, as well as technologies that allow for machine-to-machine communications in manufacturing centres which are at the heart of boosted productivity and the Internet of Things (IoT). By embracing small cell architecture, such as wideband DAS, companies will be able to efficiently and economically provide ubiquitous, in-building mobile connectivity within the workplace. While small cells are a preferred solution for smaller buildings, given their current limitations, they will struggle to replace DAS in larger enterprises. As such, combining small cells and DAS together can reduce the cost of deployment in the future, especially in terms of equipment, cabling and real estate. As such, companies can cost effectively embrace trends such as BYOD that will become critical in the run up to next generation services, such as 5G. 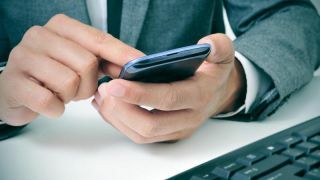 Ultimately, organisations have found themselves in a position where they need to boost mobile connectivity within the workplace. When considering the right in-building connectivity solution, businesses need to remember that if it is spectrum and technology agnostic, this will not only ensure employees have the connectivity they expect today, but also provide businesses with the infrastructure they need to support the technologies of tomorrow. This will be a necessary component in ensuring ubiquitous coverage.